FileZilla is a software which allows you to transfer files between different computers. FTP stands for file transfer protocol. The advantage of the file transfer protocol is that it is a standard protocol. Thus, you will not have to worry about the compatibility of different machines. Any OS which supports the FTP is compatible with FileZilla. Thus, transferring the files is not much of a problem with the help of FileZilla. With the help of FileZilla, you can easily setup FTP server. This will allow you to transfer files quite easily. 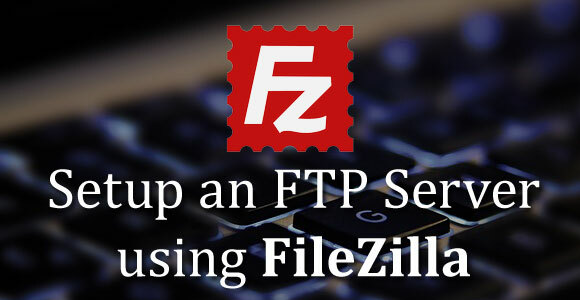 We will today share with you the step-by-step procedure which you need to follow in order to set up an FTP server using FileZilla. The 1st section of the guide will familiarise you with the procedure to install FileZilla. FileZilla FTP server setup is pretty easy to accomplish. We will highlight the different steps below. When you begin the installation of the software, you have to progress with the default settings on the first screen. You can change the administration ports but this is just for monitoring the server rather than modifying the transfers. On the second screen, you have to continue with the default option which states that “Install as a Service”. In the 3rd step, you have to set a password if required. Other than that, it will recognize the port and the hostname by itself. You have to just click the connect button. Thus, when it comes to setting up FileZilla, it is pretty easy to do. Once you click the connect button, it will automatically connect the server and some basic information about the server will be mentioned. The presence of a NAT router will be detected automatically. In order to complete the procedure of creating a server, there are a few steps which you have to follow. The 1st thing which you have to do is to create a user account. You have to click the edit option and you have to select the user option. You have to select the General tab and you have to click on the add button. You have to enter the username and click okay. You have to enter the password for the user. You have to then add the folders which you want to share to the shared folders list. You have to click the add button in order to do so. In order to throttle the speed, you can select the speed limits option on the left inside. This will allow you to limit the speed. With the help of this option, it will be easier for you to control bandwidth usage. With the help of the IP filter feature on the left, you can prevent any IPs from connecting to the server. This will allow you to blacklist suspicious IP addresses. Once you have completed these steps, the setup for the FileZilla server is completed. You need to, however, add an exception to your firewall in order to connect to the server. The entry which you need to include in the firewall exceptions list will be similar to C:\Program Files(x86)\FileZilla Server\FileZilla Server.exe. You have to just change the destination as per the installation on your machine. In case, you want to allow the users from outside your LAN network to connect to the server, you have to know more about port forwarding. The basic purpose of the FTP server is to ensure that everyone who has the details is able to connect to the server. If you’re setting up the FTP server at your home, it is important to activate the Passive Mode Settings. In order to do so, you have to 1st click on the edit option and thereafter, you have to click on settings. The options which you will have to select your will depend on your local connection as well as setup. It is a good idea to google the steps in order to get the right settings. The aim of this step is to ensure that the firewall ports are open so that you are able to connect to the server from other computers in the network. In such a case, all you will need to do is to just enter the username and password and you will be able to connect to the server. In order to gain more details about the FTP commands which you need to use in the command prompt, you can google the details. 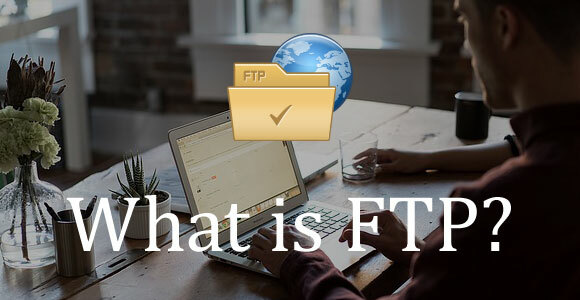 Now that you are familiar with the process of creating an FTP server using FileZilla, it is time to know the advantages of doing the same. Why should you set up an FTP server using FileZilla? With the help of a few simple steps, FileZilla allows you to set up the FTP server quite easily. Thus, as compared to using any other protocol or software, setting up an FTP server using FileZilla is easy. This is one of the main advantages of creating an FTP server. Moreover, with the help of FileZilla, it is, even more, easier to set up the FTP server. As long as your operating system supports FTP, you will be able to use FileZilla on that machine. This ensures that you are able to easily create an FTP server. When you create an FTP server on your machine, it will be easy for you to access that machine. This means that you will be able to access the files and folders of that machine from anywhere around the world. Thus, if you travel a lot, creating an FTP server is one of the best options for you. With the help of this server, you will be able to work from anywhere around the world. You can easily access all the files which you need in order to complete your work. The methods available in order to transfer the smaller files are plenty. It is only when the file size exceeds 1 GB, there can be problems. With the help of FTP server, you can stay connected for a long period of time. You can transfer the files at optimum speed without any problem. Thus, if you routinely transfer large files, creating an FTP server with the help of FileZilla is a good option for you. As we stated above, with the help of FTP server, you will get uninterrupted access to the machine. This means that you will be able to transfer the files consistently. Even when you want to transfer or access hundreds of files, you can do so with the help of the FTP server without any problem at all. Thus, uninterrupted access is one of the main advantages of the FTP server. The FTP server can also be created using the SFTP protocol which stands for Secure File Transfer Protocol. With the help of this protocol, you will be adding an extra layer of security. As a result, you will be able to transfer the files with relative ease. If you do not establish an FTP server, the next option which you have is to transfer the files through websites or with the help of other Internet services like email. This can be risky. You will have to upload the files to some other platform in order to download it at a remote location. With the help of FTP server, you can access the files easily with the help of a secure protocol. Thus, it adds a layer of security and at the same point in time, provides you direct access to the files which is a definite advantage. When you combine all of these advantages with the fact that FileZilla allows you to easily establish an FTP server, it is obvious why you should use FileZilla for the same. So, the next time around you’re trying to set up an FTP server with the help of FileZilla, simply follow the step-by-step guide which we have highlighted above. With the help of this guide, creating an FTP server is quite easy. A website is a necessity for most of the businesses these days. That is why web designers are in great demand. 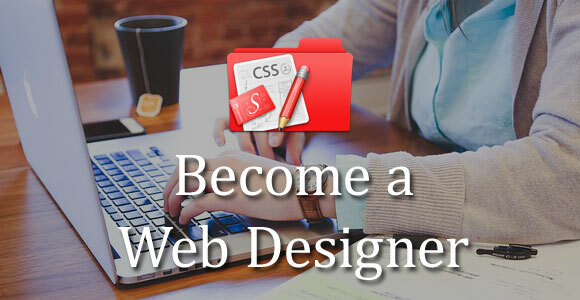 Many people are looking to switch their careers and become a professional web designer. However, before you take this step, it is important to understand what it takes to become a web designer. The more knowledge you have, the easier it will be for you to take an informed decision. We will today not only delve into the details of web designing but also help you understand how you can become a professional web designer. You should provide seamless navigation to the website which you design. You should create a website using various multimedia mediums. You should design a website which is compatible with different devices and operating systems. Last but not the least; you should design a website which is engaging for the visitors. These are the most basic principles which you have to be careful about while designing a website. How it is Different From Web Development? Now that you are aware of what exactly web designing is, it is time to look at the difference between web designing and web development. Let us now delve into the exact steps which you have to undertake in order to become a web designer. It might seem like a daunting task at the start but once you get the gist of it, it is actually pretty easy to familiarize yourself with the various aspects of web designing. In our guide to web design, we will explain the entire process in simple terms. You have to be fluent at drawing. You will not have to do this manually. There are dedicated software which can help you bring your ideas to life. You should, however, be familiar with drawing on digital interfaces. Planning the layout is a vital skill/task which you need to undertake for designing each and every website. The goal should be to arrange the information as well as the graphics in such a way that not only the consistency and integrity of the design are maintained, but it is also easier to go through. That is why; you have to always plan the layout for each and every website before you go any further. The structure of the website refers to the navigation of the pages of the website and the hierarchy of those pages. The structure of the website is seldom changed at a later stage. That is why; you need to be well versed with structuring in order to get it right in the 1st attempt. You have to always design the website keeping the actual user in mind. You should not focus on the marketing aspect or the SEO aspect. You have to ensure that each and every visitor/user of the website has a smooth experience while operating or going through the website. You have to always create the Web design according to the industry standards. This will ensure that it is not a jumbled mess but is rather professional and easy-to-use like it should be. You have to start with these basic skills and thereafter, you have to advance towards using different tools in order to accomplish these goals. Photoshop is the Swiss Army knife of the web designing industry. It can help you in editing images as well as creating logos and other visual elements of the website. You need to be well versed with Photoshop in order to create the design elements smoothly. Adobe Illustrator allows you to create a pretty strong website structure for your website. It allows you to manage the colors as well as the vector-based assets of the website. That is why, with the help of this software, you will be able to create vibrant web designs quite easily. With the popularity of videos increasing day by day, Adobe premiere pro is a tool which you should definitely master. It allows you to edit videos as per their timeline. This ensures that you are able to get the perfect video output you want. So, if you want to become a professional web designer, it is important to know the tools of the trade. You should be well versed with the software in order to kick-start your web designing journey. HTML/CSS are intertwined in most of the cases. CSS deals with the colors, fonts as well as the layout of the website. HTML is the markup language which is used along with CSS in most of the cases. It helps you organize the pages as per your requirement. PHP is another server-side scripting language which you should learn. Many of the tech giants like Facebook, Wikipedia rely heavily on PHP for managing their background. WordPress which is the most popular content management system also uses PHP. Thus, it is a good idea to be well versed with these 3 basic programming languages in order to become a better web designer. On both of these websites, you will get actual web designing industry knowledge. This will ensure that you are able to use your skills in the actual projects. In Github, there are community projects as well in which you can take part. This will help you in some actual real-world web designing experience rather than just the theoretical knowledge. Web designing is a field which is constantly updating. Newer and newer software trends are emerging each and every year. This is the reason why you have to always follow web designing blogs in order to know more about the latest trends in web designing. Additionally, you have to always keep a watch on the new software which are being launched specifically for web designers. As far as possible, you have to try and learn programming languages which can help you with web designing. When you constantly update your knowledge, it will be easier for you to have an edge over the other web designers. This will help you grow your web designing business by leaps and bounds. So, if you plan to become a web designer, it is important to follow these 5 tips. When you follow these 5 tips on a regular basis, not only you will be able to design a website but also you will have an edge over your competition which will help you create a flourishing web designing business.